Top Notes: Water Violet, Freesia, Tropical Green Leaves. Heart Notes: Magnolia, Ylang-ylang, Jasmine. Base Notes: Amber, Musk, Cedarwood, Sandalwood. 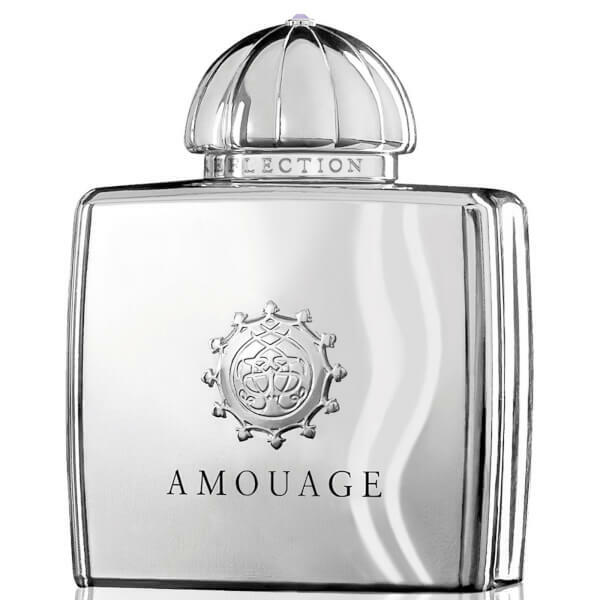 Amouage Reflection Woman eau de parfum is an unforgettable floral fragrance that blends fresh flowers with warm woody accords. Opening with a burst of Water Violet, Freesia and tropical green leaves, the perfume creates a refreshing sensation like early morning dew. The EDP's floral heart of Magnolia, Ylang-ylang and Jasmine gives way to the rich depths of Amber, Musk and Sandalwood.